Glenn C. Matthias, 91, of Silver Run, died Thurs, Nov 15, at his home. He was the husband of Marion (Eckard) Matthias for 70 years. Born May 13, 1927 in Adams County, Glenn was the son of the late Oliver & Maud (Study) Matthias. He was a high school graduate and attended business school. Glenn was a self-employed farmer. Surviving in addition to his wife are his children, Stephen Matthias & Linda of Silver Run; Jacquelyn Matthias of Silver Run; his grandsons: Michael Matthias & Sandy and Christopher Matthias & Jenica; his great grandchildren: Brady, Madison & Bryce Matthias; his step great grandson, Tyler Montgomery and his sisters: Roma Harner of Gettysburg and Shirley Aldinger of York. He was predeceased by his brother, Charles Matthias and his 4 sisters: Ruthanna Sterner, Edith Stambaugh, Sarah Harner and Evelyn Mayers. 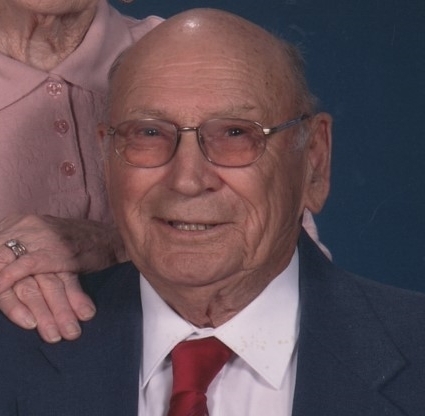 Glenn was a member of St. Mary’s Lutheran Church of Silver Run; a charter member of the Silver Run- Union Mills Lion’s Club and a past president of St. Mary’s Cemetery Board of Silver Run. He especially liked antique cars. My condolencences to Matthias family.